OceanWise and Valeport, are pleased to announce the successful implementation of a tide, wave and weather monitoring system at the Australian Marine Complex in Henderson, WA. The system uses a combination of Valeport and Gill Instruments equipment, with data telemetered to the Port-Log.net virtual server in Oxford, UK. The incoming data streams are decoded and stored in Ocean Database (ODB) on the server. Web services then act on the database to display present and historic conditions, as required by the user. Different levels of users are able to access different types and periods of data via a secure login. ODB is also able to accept connections from desktop applications e.g. MATLAB for more complex processing and analysis and the charts can be embedded in other web pages using ‘inline frames’ technology. Port-Log.net is totally flexible and independent of any particular instrument or manufacturer, so users are able to mix and match as they wish, according to technical need or budget. It also offers exceptional value for money with no set up, development or IT equipment costs required. For more details please contact Valeport or OceanWise. 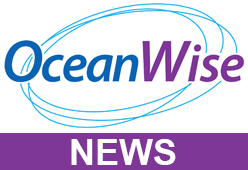 Details be found on the Port-Log.net and Ocean Database pages of the OceanWise website.